Character Concepts is currently offering a freebie for Memorial Day. 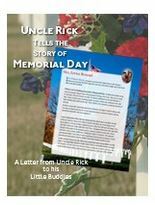 You can download Uncle Rick’s Memorial Day Story for free for a limited time. No coupon code is needed. You will need to create a free account if you don’t have one already.